How do NVIDIA's top-end Maxwell and Pascal dGPUs perform with the Ryzen 5 2400G in Forza Horizon 3? 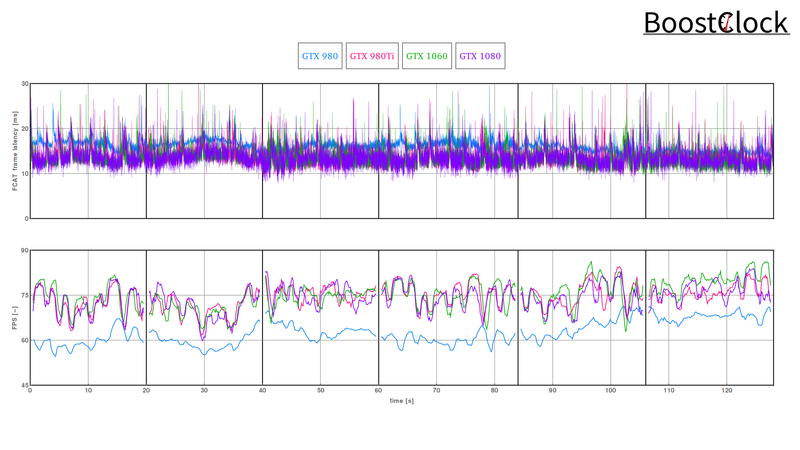 Once again we visit the rainforests of Yarra Valley as the lush vegetation is very detailed and geometry-heavy so it really pushes both the CPU and dGPU. It is evident that something is holding back the dGPUs as the top three is neck and neck, nothing separates them. 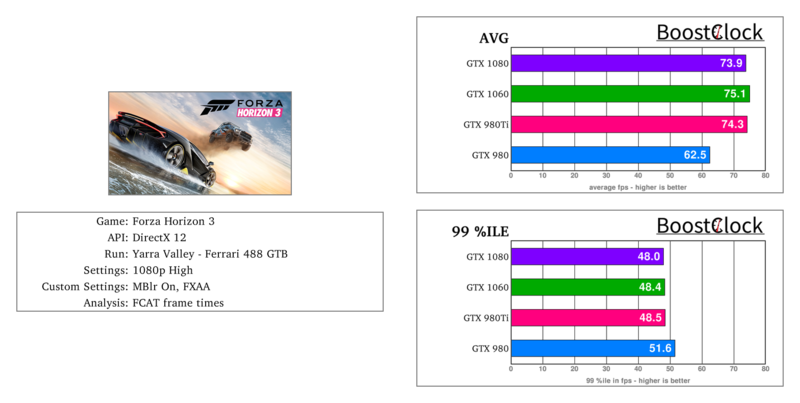 The GTX 1080 is seriously underutilized. 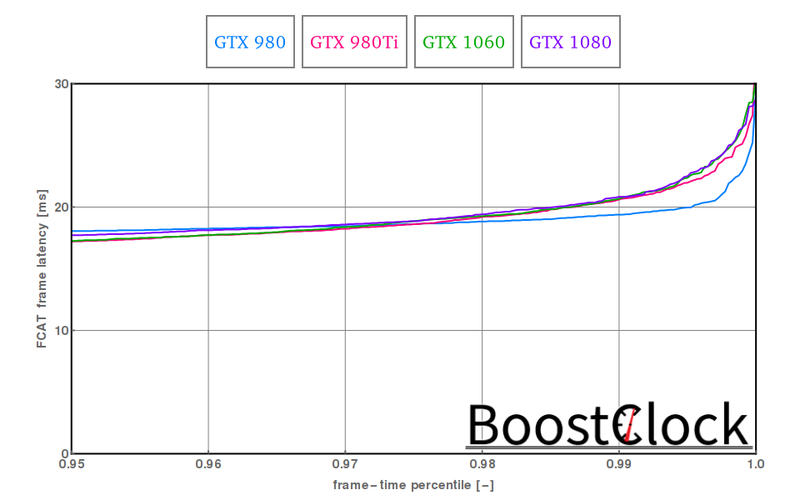 Interestingly, the GTX 980 produces the tightest frame times.